Mahalebi is a Cypriot pudding made with water or milk and corn flour. The traditional way of making mahalepi is with water. No sugar is added in the cream but when served, always chilled, rose water and sugar are added on top, or triantafyllo (rose cordial syrup), which is sweet and no extra sugar is added. It’s not the kind of thing we think of every day-eating roses, that is. Yet, the noble rose has had a place in our kitchen for eons, tantalizing, seducing, intoxicating people more than any other flower. Roses, which were used as a seasoning, were sold by the roadside in fourth-century BC in Athens. In ancient Greece, the symposia were occasions in which all the senses were engaged, and the perfumes used were as important as the foods served. Rose fragrance was considered appropriate for a drinking party; rose essence was also sometimes used to season wine, in both ancient Greece and Rome. Later, the rose appears in confections. The Byzantines were probably the first to make rose sugar, which was also a popular Medieval sweet. Rosewater also was mixed with salep and drunk as a fortifying beverage as early as the seventh century in Constantinople. The Byzantines also mixed rose syrup with crushed mountain ice to make sorbet. Rosewater is the basic flavoring agent in loukoumi. Elsewhere in the Middle East, it is still drunk as a beverage and appears throughout Persia and Arabia as an aromatic sauce for certain meat dishes. 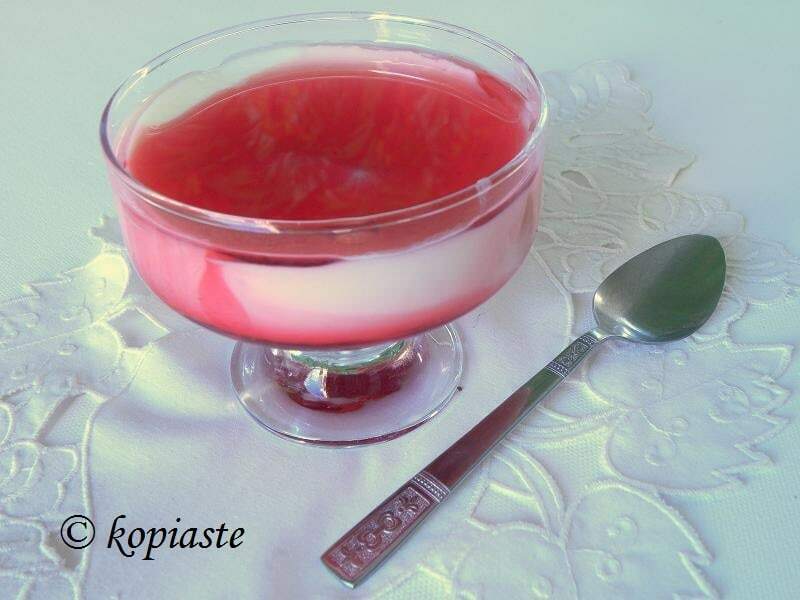 My mother used to make the rose petals into the most delicious spoon sweet and also she made both rodostagma, rodo (pl. roda) meaning roses and stagma, a drop – distillation (rose water) and anthonero, anthos meaning blossoms and nero, water (citrus blossom water). Rose water cannot be made from any roses but there is a certain variety called Rosa Damascena (rose of Damascus) which is like a shrub and produces lots of small roses which are very aromatic. We used to have some of these roses in our garden and a few citrus trees in our back yard. My mother had a still (not the one in the picture, which is a still for making zivania), where the petals of Damascus roses or citrus blossoms were boiled with water. The steam coming out from the still would then condense and flow through the tube where she would collect the rose or blossom water. The house would smell heavenly. During that period when there were plenty of roses or bitter orange blossoms she would also make the petals into the most fragrant spoon sweet, which also smelled and tasted heavenly. Most of the traditional Cypriot desserts have rose water or blossom water in them or served with them. Believe it or not, Mahalebi a street food. Street vendors with carts used to sell it in Cyprus . They made it with cornstarch and water. Nothing else. They would then put it in empty condensed milk tins (which were half filled) and cooled it on ice blocks. When the customer would come to buy some, they would flip it in a plate and would either wet it with some rose water and sprinkle as much sugar as the customer wanted on or just pour triantafyllo, on top. Triantafyllo is a syrup made from rose petals and has a rich alizarine colour and of course the aroma of rose is also very strong. At home my mother would often prepare mahalebi with milk (mahalebi tou galatou) instead of water and only during the days of fasting she would make it with water. A few days ago, I had a lot of milk in the refrigerator and since it was about to expire I decided to make Mahalebi, which is one of the easiest and nicest desserts to make. I made it in the afternoon and it was cloudy and there was not much natural light to take proper pictures. I decided to keep one in the refrigerator to photograph it the other day but I had already added the caramelized pistachios and by the next day the sugar had melted. I used to think that this recipe is Cypriot but in the ’80s after the war in Lebanon, many Lebanese came to live in Cyprus and we learned that they made it as well and it is called muhallabiyeh. That really did make sense as the word itself sounds like Arabic. Since then we learned to make their version of mahalebi, as well. I will prepare and post that recipe another day. The Lebanese usually serve it with pistachios from where I got the idea but they do not caramelize them, as I did. I am sending this entry and the rose to my friend Aparna, of My Diverse Kitchen, who is celebrating her 1st year of blogging with Sweet Celebrations, wishing her many more years of blogging. 30 grams corn flour (starch). Place nuts and sugar with a little rose water in a non-stick frying pan and keep stirring until the sugar melts and caramelizes. Empty them on a parchment paper and when they have cooled, crush them a little in order to sprinkle some on top. Dissolve the corn flour with some of the milk in a pot. Heat the remaining milk and add the sugar until it dissolves. Pour the hot milk and stir with a balloon whisk until it sets. Wet the bowls or glasses with rosewater (use leftover to make the caramelized nuts). Empty the cream in the bowls and set aside until they cool. Many times I like replacing sugar with some leftover syrup from fruit preserves (in this case cherries or sour cherries) and serve it with the same fruit preserve on top. This is why the cream is darker. A similar recipe is included in my cookbook Mint, Cinnamon & Blossom Water, Flavours of Cyprus, Kopiaste! What an elegant dessert Ivy. It looks really beautiful and I am sure it tastes amazing. I have never worked with rose water before and actually I just tried triantafyllo this summer when my Godmother put together a refreshing drink for us one afternoon using the sweet syrup. It was a very informative read. Rose syrup, well that bottle looks good. I don’t think i have seen them here. The dessert had to be delicious with rose syrup on it. In india we have rose milk. Maria, do you know if the rose syrup is something local because I have never found any in Greece and always get some from Cyprus. Happy Cook, we loved this rose water with cold milk. My children when they were young would drink it with their milk and sometimes when they did not like certain medicine I would trick them by mixing some rose syrup in it. What a refined dessert! Really frangrant and delicate! Interesting background on the use of roses in cooking and a wonderful intro to this Cypriot dish. I love how it’s also part of the street food culture there. I am just drooling over this dessert! Wow Ivy! I’m just thinking about the power of the rose aroma in this! Love it! Deeeeeelicious and what the heck is black sugar? Giz 😀 You are right. What the heck is black sugar? In Greek we call it black sugar and when translating I forgot that it is called brown sugar in English!!! I shall correct the ingredients. Hola Ivy :D. Hope the sun is shinning for you today ;D. I never cooked with roses at home before but I have tried them in restaurants and love the special touch they give to dishes. what i’d really love is to be at your house when the still was boiling, or in Cyprus when they sold this dream-cream in the streets. Can you get decent shop-bought rose syrup, one that won’t be just sugar-colour and flavourings? I’d love to get hold of it if it exists! Fantastic dessert Ivy, I’ve only tried versions with honey and cinnamon or mastiha, I’d love the rose one though! hi Ivy, just visited ur wonderful blog. this dessert looks so delish & the best part is, its so easy make! one can find rose syrup pratically in every household in Malaysia bec it is one of our fav drink. so, my next dessert will definitely be this. thanx alot for the recipe. This looks so nice. My grandmother used to make the best cookies with rosewater. How lovely and romantic! I know I would love this. There’s just something about the scent of a rose. Nice presentation, looks very professional… and delicious of course. I wouldn’t mind having this right now either. Your Mahalebi looks so beautiful, Ivy and rose and pistachios is a very good combination. In northern India, rose essence/ water and rose syrup is used a lot in desserts. This must be an influence brought in by the invaders from Persia. We also make rose milk with rose syrup and cold milk. There is also a sweet called “Murhabba” which is made by adding sugar to rose petals in a glass jar, sealing it, and keeping it in the hot sun till the sugar melts to from a thick syrup. Thanks for joining me in celebrating, Ivy. Fantastic traditional dessert recipe, ivy! You have outdone yourself with this posting, definitely one of my faves!!! I always have some rosewater in the pantry, along with some rose petal spoon sweet which I just love to spoon overtop of some galatopita. Thank you for this wonderful post. A great version of this delicious dessert! Chemcat thanks for your comment. I know that in Cyprus we made the mahalebi with nisiaste and I use nisiaste quite often, only that day I had corn flour, which is one and the same thing. As a 10yr old English boy living in Limassol circa1965 I remember buying this desert from the street trader,he used to come to the old clay football field close to Limassol Hospital,I think it was like a big white freezer box on the front of a motorcycle,memory not so clear.There was a choice of this desert & cold rice pudding,both in the old tins.I liked this desert best as it was covered with the rose water (or probably rose cordial although I remember it as being watery) wonderfull memories & my sister has just made some for me,although served with essence of rose water rather than cordial as not so easy to obtain. Hi Tony, I am happy that I have revoke lovely memories of your childhood. I cannot remember any football field close to Limassol Hospital but then as a girl I was not interested in football and the same period you mention we were living in London. Weird eh? The police station was next to the hospital, and opposite the police station and the hospital was (and still is) the Technical school, that's all I remember. You have such a good memory and remember everything in detail and yes it was something like a big freezer box and you could have the watery one, which was with rose water and sugar and the red one which was rose cordial "triantafyllo". If you want to find rose water or rose cordial you can try any supermarket selling Middle Eastern products.